If you are wanting to look your fashionable best this summer, stripes are the thing to be seen in. 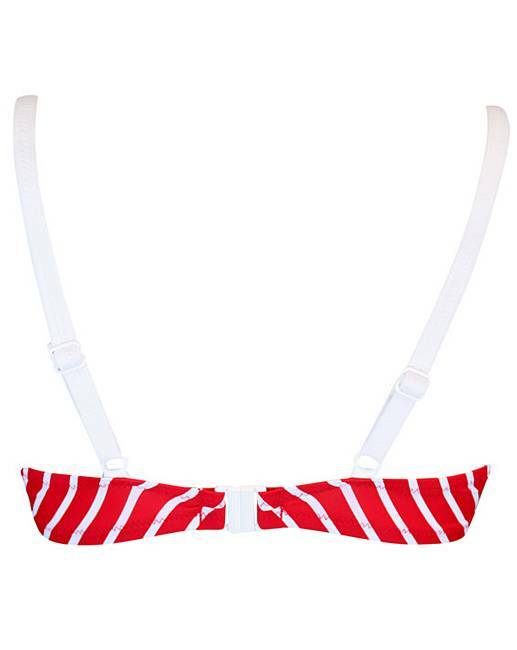 With its clever design the Starboard Underwired Top is ideal; the stripes feed into the centre from the top of the straps. Offering not only amazing support, the top is completely flattering as well. The detailing is lovely too; cute buttons to the centre front and red piping on the neck edge. We�ve no doubt this is going to be a firm favourite with you; a �go to� bikini.